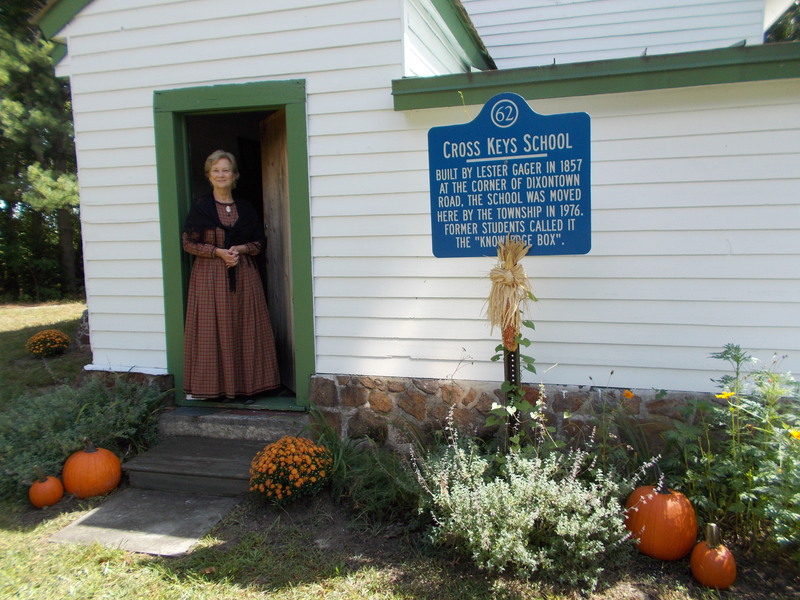 The Cross Keys School was built circa 1857. It was one of several one-room schoolhouses that provided early schooling for the children of Medford. The school stood on a portion of a parcel of land purchased by Sam Thackara and was located at the intersection of Stokes Road and Dixontown Road where McDonald’s is currently situated. Originally commissioned by Sam Thackara and built by his brother-in-law, Lester S. Gager, the building operated as a school until 1927. After the closing in 1927, the property reverted to the Thackara family. In 1947, Florence Thackara, granddaughter of Samuel, deeded the property to Allen J. Wilkins. His widow, Margaret Gaskill sold the property to Tony Gatowski. In 1976, the lot on which the Cross Keys Schoolhouse stood was bought by McDonald’s and the school was to be destroyed. 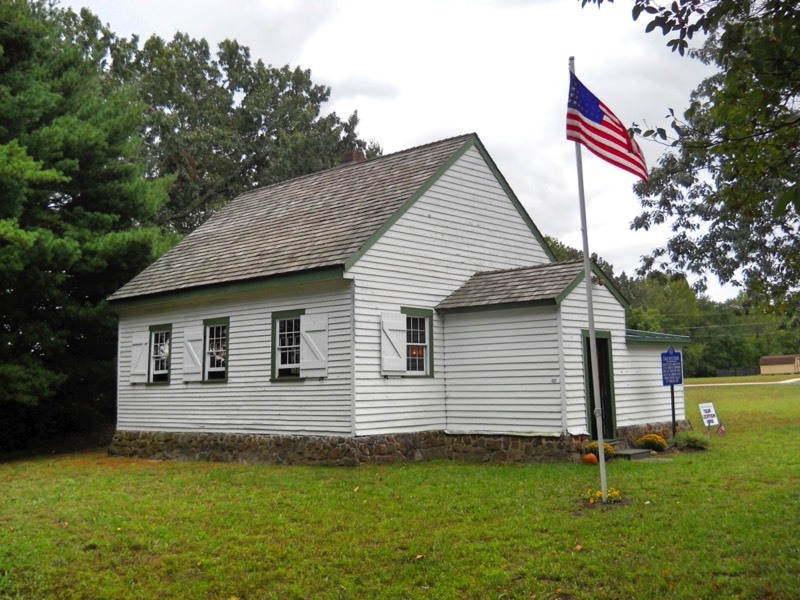 Mr. Gatowski donated the building to the Township of Medford thereby saving an important example of 19th century one-room education. The building was moved to its current location on Mill Street in 1976. 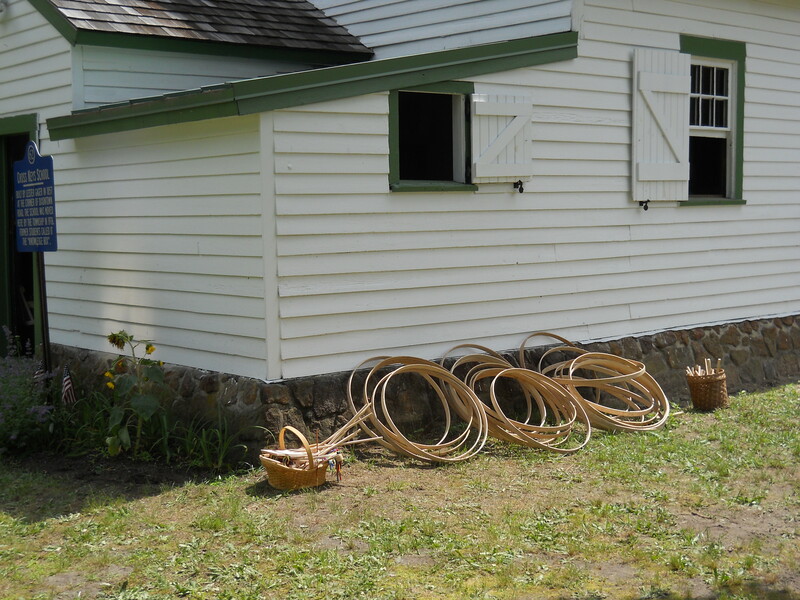 Currently, the building, owned by the town of Medford and situated on school property, is under the care of the Medford Historical Society which is responsible for maintaining the building and overseeing various programs which are open to the community free of charge. 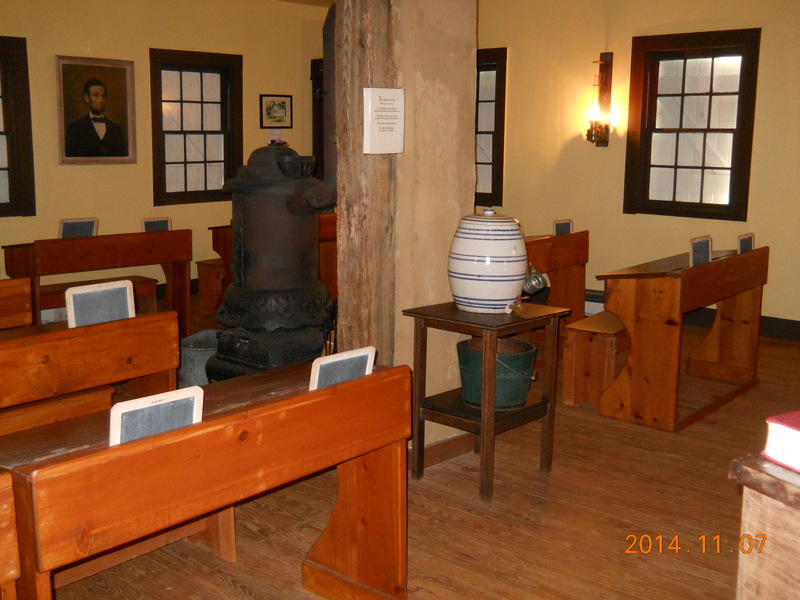 Today, the school looks much like it did when it was in use in the late 1800’s and early 1900’s. 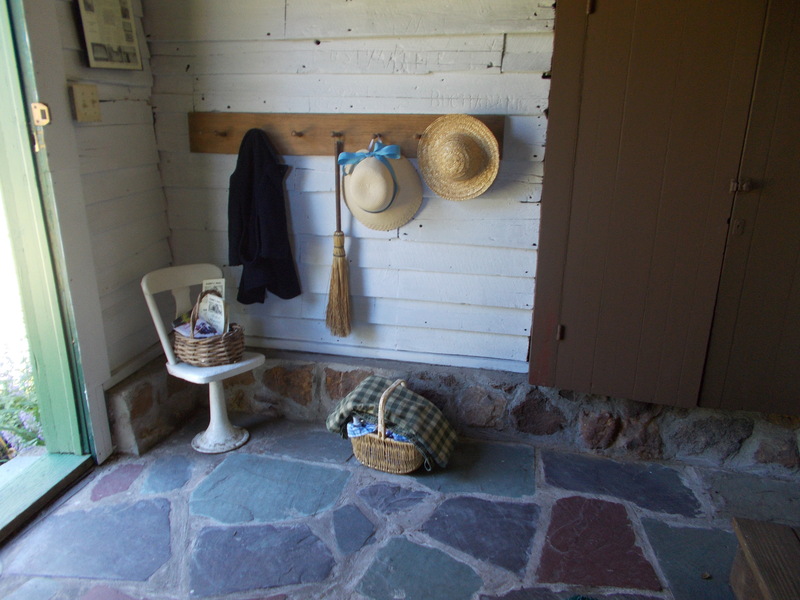 The building is a simple A-frame structure with a small front addition that once served as a vestibule and a wood and coal bin. There are three windows on each of the three sides of the building and one window and a door in the front. Each window is protected by a single, working shutter. The school has a New Jersey sandstone foundation that supports the building which is twenty-six feet long and twenty-two feet wide. Inside, the walls are plaster and the floor is made of three and one-half inch tongue-in-grove pine boards. The floor joists and rafters are made of oak, and the building is covered with clapboard cedar shingles which are painted white. The building is furnished as it would have appeared in 1857. There is a teacher’s desk, a pot-bellied stove, a chalk board, a large ceramic crock for drinking water, a clock, a flag, historical pictures, assorted memorabilia of the time period, and double wooden student desks with lids that lift to reveal a place for school supplies such as slates, chalk, and books. The Cross Keys School is opened for a variety of activities from tours for both children and adults, living history programs and open houses. 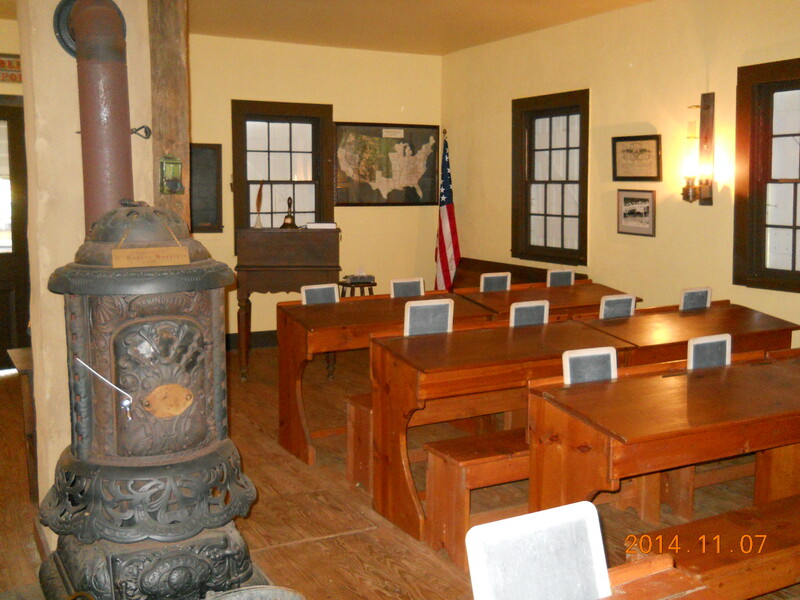 During these events you will find both docents and schoolmarms, dressed in period garb, anxiously sharing with you what education was like in a bygone era.